Cutting board made from bamboo material. 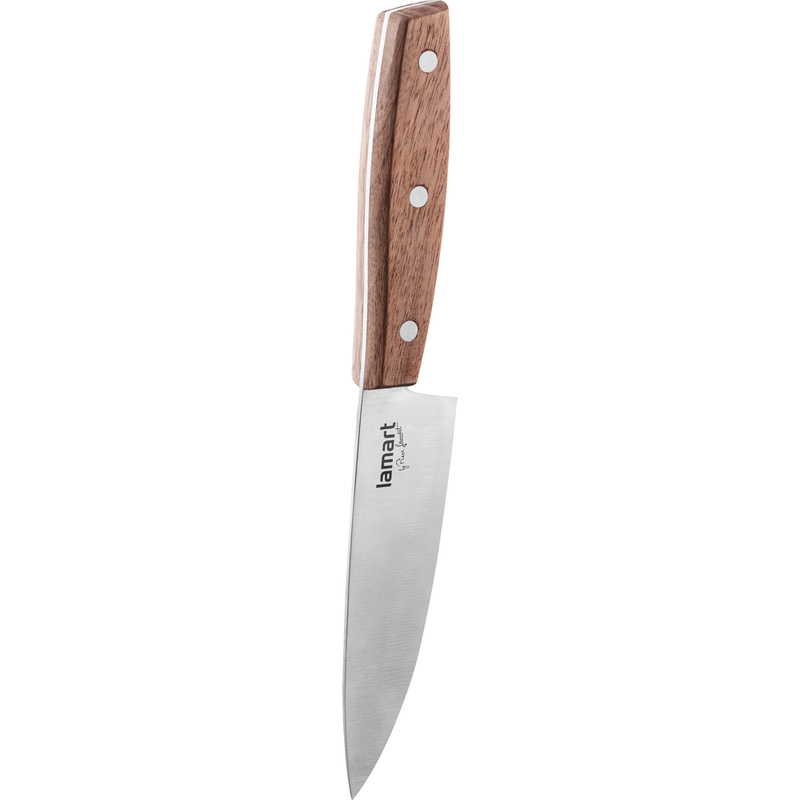 Stainless steel chef's knife with a very sharp blade and ergonomic walnut handle for maximum effect and safe use. Wash and dry after using, store out of children's reach. 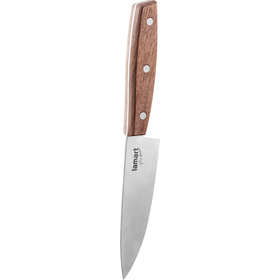 CAUTION: Improper handling makes every knife dangerous. Not suitable for washing in a dishwasher.